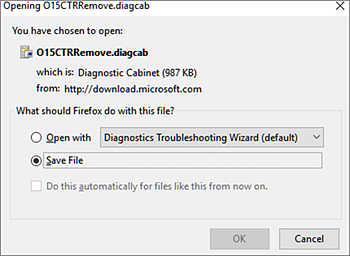 If you start a Microsoft Office 2016 program and are presented with the error "The application can't start because AppVIsvSubsystems32.dll is missing from your computer" there are a couple of easy things you can do to try and fix that issue. Go to Control Panel in Microsoft Windows. Find Microsoft Office on your program list and click on it. 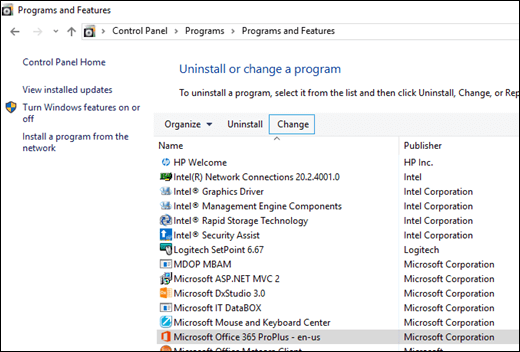 Choose Change from the toolbar at the top of the program list. In the dialog box that appears choose Quick Repair and then click the Repair button. 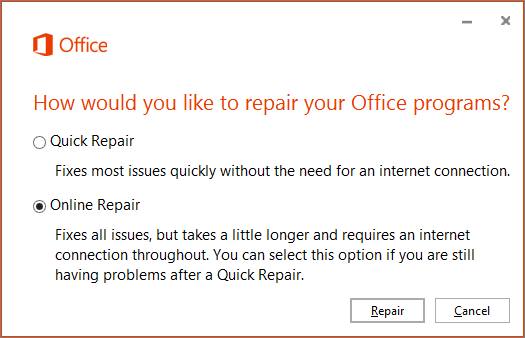 When Quick Repair completes, try and launch the Office program that was giving you the error. If you're still getting the error, repeat the steps above but choose Online Repair this time. Note: For the Online Repair you will need to have an active Internet connection. If even the Online Repair doesn't resolve the issue, we need to try uninstalling and reinstalling Microsoft Office. Still have questions or feedback about Microsoft Office? Please see How do I give feedback on Microsoft Office?